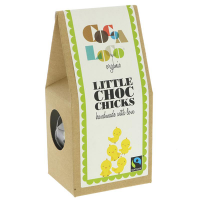 Made with silky organic white chocolate and fruity freeze dried raspberry, these pretty pink eggs from Cocoa Loco are delicious. 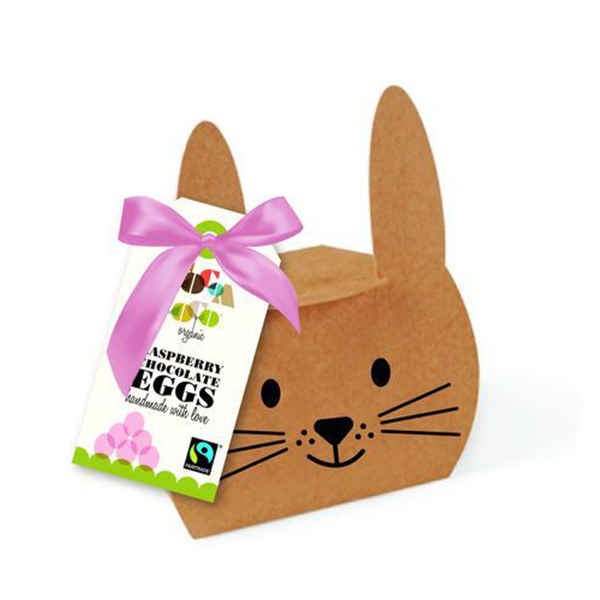 The perfect size to just pop in your mouth, they are fairtrade certified and palm oil-free. 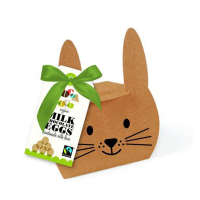 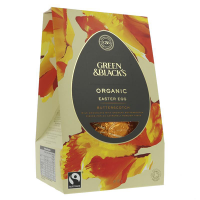 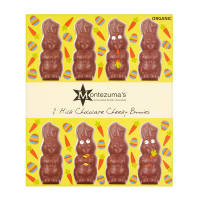 The 12 handmade solid chocolate eggs come in a cute bunny box and a nifty 100% compostable inner bag, which will biodegrade at home or at industrial sites. 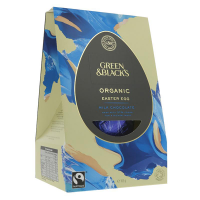 White chocolate containing milk solids 24% minimum (sugar*, cocoa butter*, whole milk powder*, vanilla powder*), freeze dried raspberry powder* (2.7%).